Warm Grey 1, Warm Grey 2, Warm Grey 3, Warm Grey 4, Warm Grey 5: a hint of brown gives these greys a richer feel. Mid tones like playful Lemon, a light to mid-range yellow, and Soft Green, full of minty blue undertones. 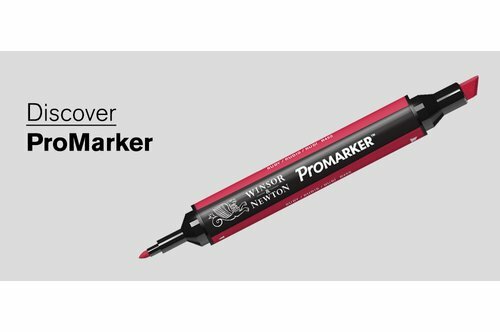 48 essential colours from the ever popular ProMarker pen range from Winsor & Newton. Contained in an attractive integrated storage box with a magentic closure. Winsor & Newton's professional quality ProMarker pens are twin-tipped, with broad chisel and fine bullet high-quality nibs. The alcohol based ink is blend friendly, malleable and is translucent so different colours can be layered for achieving subtle colour changes and tones. Uniform appearance and streak free coverage.